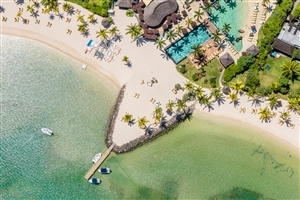 The island of Mauritius is regarded as something of a gem in the Indian Ocean, and the five star Four Seasons Resort at Anahita shines brightly as one of its best resorts. 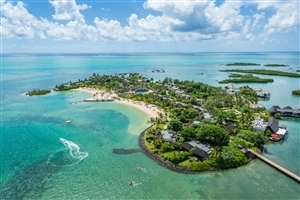 A collection of stunning villas provide top class accommodation split between the mainland and private island – offering first rate views of both the surrounding countryside and the clear blue ocean. 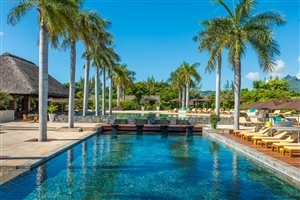 With an impressive list of facilities and world class dining, the Four Seasons Resort is sure to provide fun for all the family. 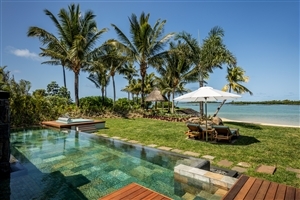 Situated on the east coast of Mauritius, the Four Seasons Resort at Anahita is an impressive five star resort; part of which is located on a private island just off the mainland. 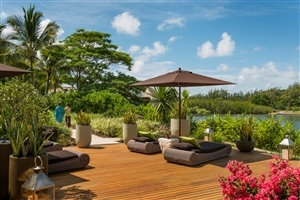 Stylish and modern accommodation, including private plunge pools and gardens, sits amidst an idyllic backdrop to create the perfect holiday location. 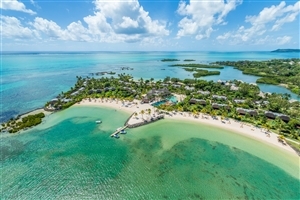 With stunning views, a wide raft of facilities, top class dining and activities for all ages, a stay at the Four Seasons Resort is sure to live long in the memory. 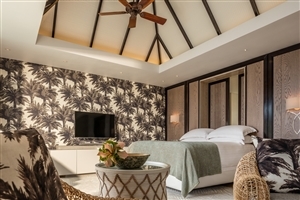 The Garden Pool Villa provides guests with between 63-70sqm of accommodation space and includes access to your own private landscaped gardens. The rooms come complete with either a king size bed or two queen beds, making them ideal for either two adults, or two adults and one child. 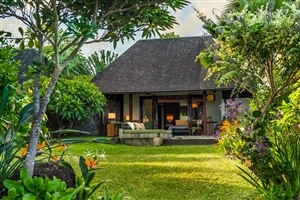 The stylishly designed room includes a full bathroom as well as separate outdoor shower, while the gardens are home to a covered dining area and your own private plunge pool. 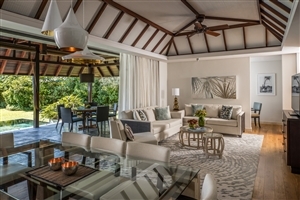 The Mangrove Pool Villa provides guests with between 63-70sqm of accommodation space and includes access to your own private landscaped gardens – as well as impressive views across the surrounding mangrove formations. The room comes with either a king size bed or two queens, as well as an additional rollaway or crib. It means that up to three adults can share the room, or two adults with a child. As well as the main bathroom, there is an outdoor shower within the private garden space, which also includes an al fresco dining area. 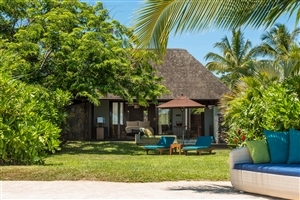 The Ocean Villa provides guests with between 63-70sqm of accommodation space and sit on a private island just off the mainland. 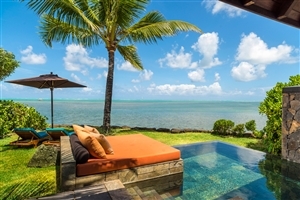 Featuring impressive views of the ocean or lagoon, the villas include steps that lead down to the water; providing the chance to marvel at the local marine life. The accommodation itself features soft natural colours and stylish furnishings and comes complete with either a king size or two queen beds. A private garden area includes outdoor dining space and an outdoor shower. 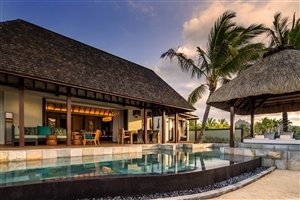 The Beach Villa provides guests with between 63-70sqm of accommodation space and sit in a beachfront location on the resort’s private island. 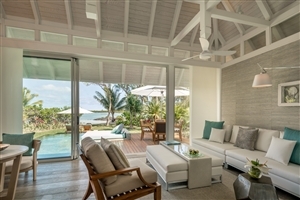 Perfect for two adults, or two adults and a child, the Beach Villa comes complete with a private garden that includes an al fresco dining area and your own plunge pool; with the garden also being home to an outdoor shower. The Two Bedroom Garden Residence is ideal for friends and families, coming complete with one king size bed and two queens. It means that up to four adults, or two adults and two children, can enjoy the experience of staying in the spacious 180sqm villa, which also features two bathrooms with outdoor showers, a separate living and dining room and a kitchen. Your own garden includes a covered verandah with outdoor dining area, while there is also a plunge pool. The Three Bedroom Garden Residence provides something of a home-from-home experience for guests, with 220sqm of accommodation space including a kitchen and living/dining room. 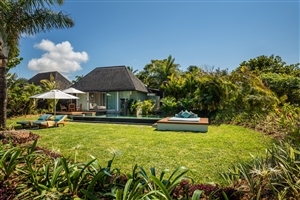 Each of the three bedrooms – two king and one with two twins – comes complete with its own bathroom and outdoor shower, whilst there is also a covered verandah for outdoor dining and access to your own plunge pool. The Presidential Suite benefits from spectacular panoramic views of the ocean from its location on the resort’s private island and offers 240sqm of accommodation space for guests. The suite comes with a king size bedroom and one with two queens, as well as a large living/dining room, a kitchen and a study. Both bedrooms come complete with an en-suite bathroom and outdoor shower. As well as a private garden, there is a large outdoor verandah on which to relax, and access to your own pool. 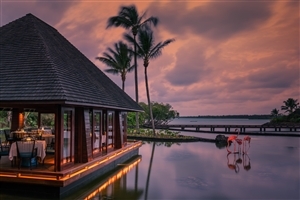 Acquapazza: Open every evening for dinner offering contemporary cuisine on the resort’s private island with views of the lagoon. 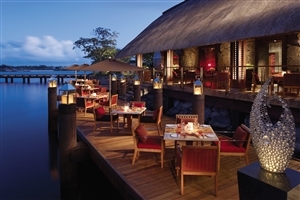 Beau Champ: Open for breakfast and dinner, a contemporary grill offering a varied menu suitable for all tastes. 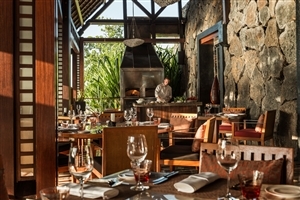 Bambou: Open for lunch and dinner serving a range of Mauritian, Indian and Chinese dishes with views over the beach. 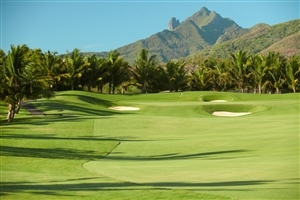 Il Forno: The clubhouse on the resort’s golf course offering a range of classic dishes during the day. O-Bar: Fine wines, spirit and cocktails are all served in the resort’s main bar which is both cosy and sophisticated at the same time.